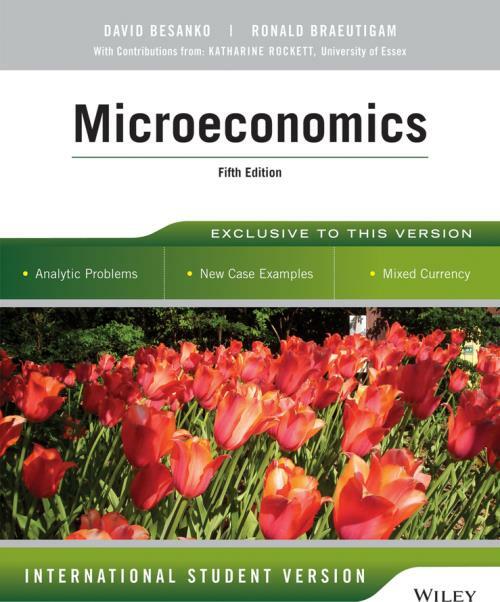 Microeconomics, 5th Edition gives students the most effective approach for learning microeconomic tools and concepts. This text provides an accessible, integrated structure with numerous practice problems, exercises, and engaging applications. Worked–out Learning–by–Doing problems, mathematical and graphical data, and verbal explanations enable business and economics majors to recognize significant data, patterns, and trends.